hd00:40View from the sky! Awesome footage captured by a 4K drone. 4k00:21SAMSUN, TURKEY – JUNE 18: Friends camping in a forest and capturing video with a drone in June 18, 2017 in Samsun, Turkey. 4k00:11Domestic Cattle Breeding. Cows Graze Green Meadow. 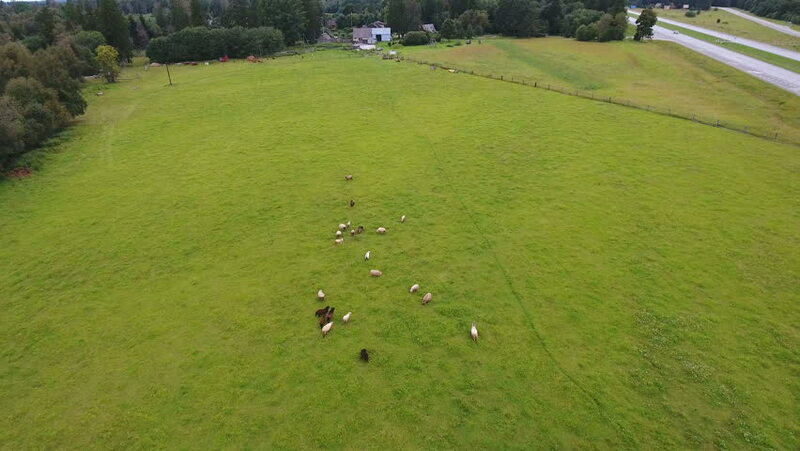 Flying Over Green Field With Grazing Cows, Cattle-Breeding And Farming Business.